No Roman Goddess, just Sabrina. A Photographer & Writer, Welcome to Severn Wishes. 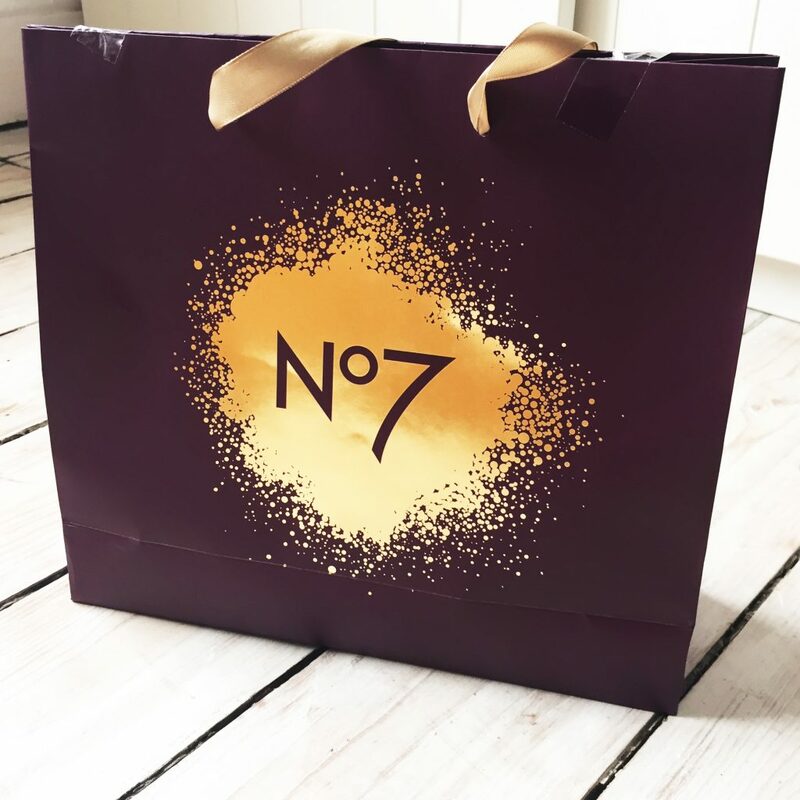 I was very lucky recently to receive this No7 gift bag. My father won this as a raffle prize at his local store but it was designed to be won by a woman, I was a very lucky daughter to get given it, and I was told it was filled with all kinds of mystery goodies from Boots. 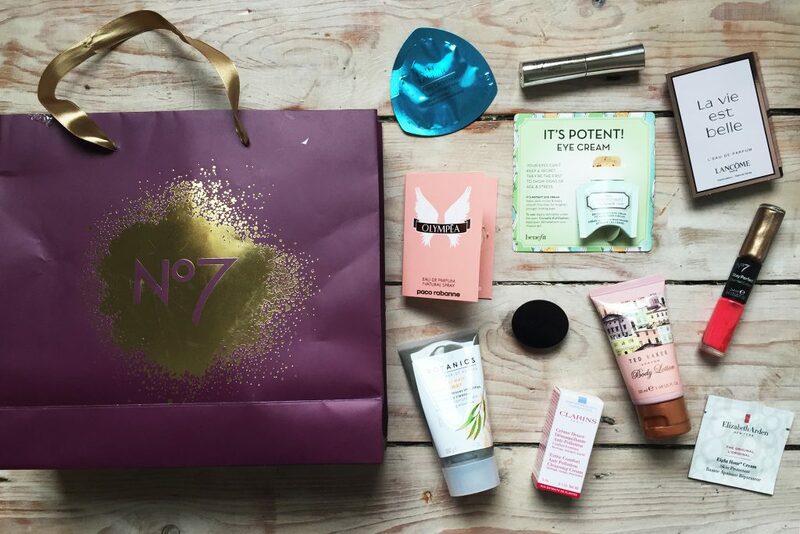 When I opened the tape on the beautiful purple bag and looked inside, I saw a selection of items inside including samples, No7 items and what looked like some full sized products too. I decided to photograph all of the items together before testing or using any of them, so the next image depicts a flat lay of the things inside the prize. This is the reveal of what was contained in this prize. I’m looking forward to trying these products and the samples, if I’m impressed with anything I will probably write a blog post about that specific item. Although most of what was included seem to have one time uses unfortunately. I found it rather interesting how many samples were included in this winners bag. I of course expected there to have been more handbag sized products than full sized, however for a prize, it should be worth the ticket price at least. 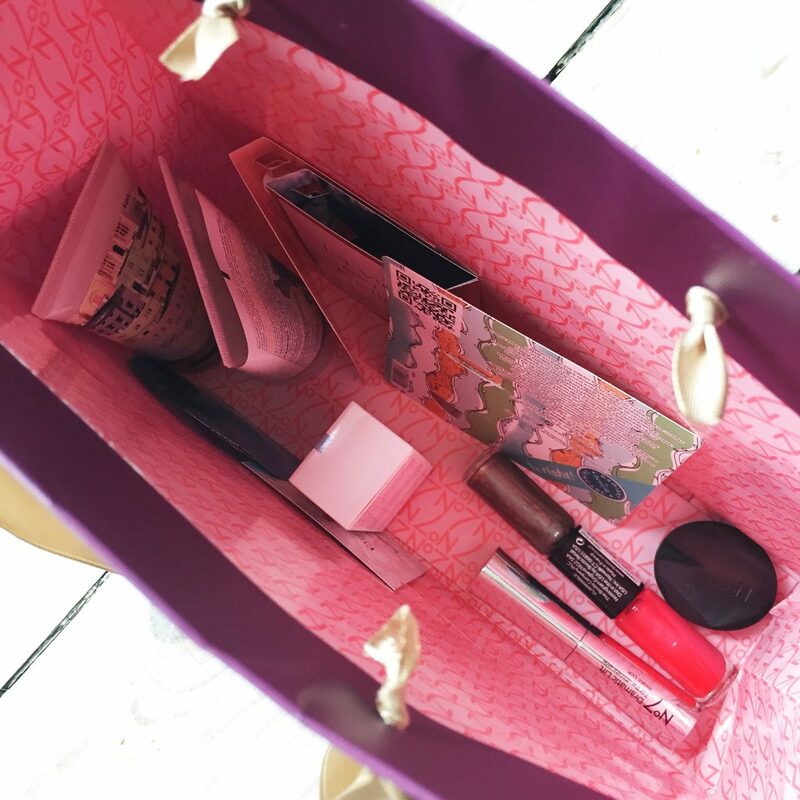 A lot of places still give you samples if you ask for them, so you could potentially remove 5 or 6 of the prizes in this bag, which only leaves you with 6 or 5 products, some which are still not full sized anyway. The question is if the prize is worth the prize money, because it felt like a lot was included until you look at it all. In my eyes if companies are going to provide prizes which have samples inside, they need to put a lot more in the bag than just a few and especially if they are only at 5ml or less. Saying this I am not ungrateful in any way, because I still have the opportunity to try some products I wouldn’t have purchased full sized versions of. I hope you have found this reveal interesting, and I will update with future posts if any products stand out to me enough to have their own review. 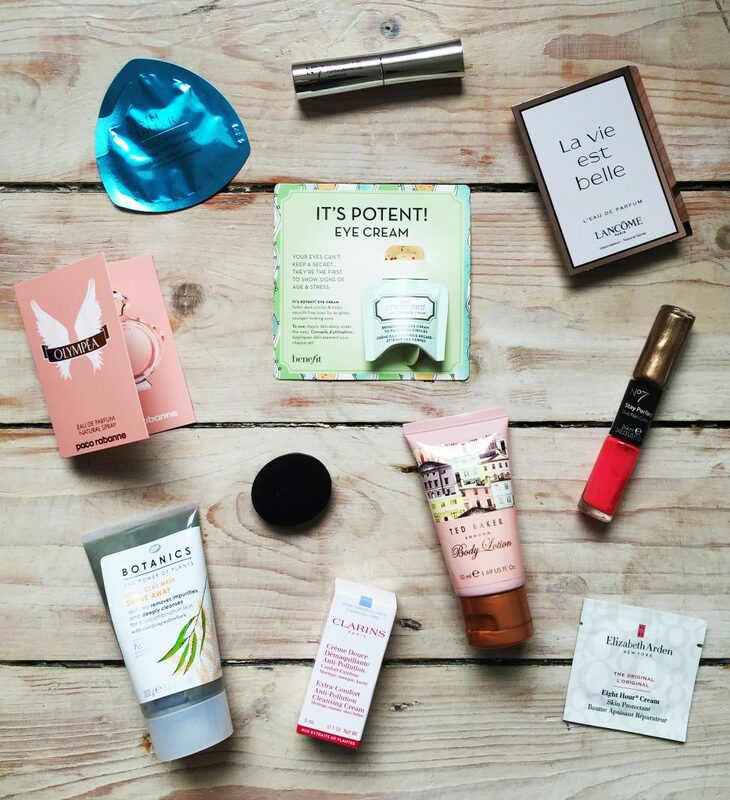 This entry was posted in Beauty, Makeup, No7, Perfume, Reveals, Reviews, Ted Baker, Winnings by Sabrina. Bookmark the permalink.